The Journal of Research in Education (JRE) is a peer-refereed bi-annual scholarly journal. The JRE is published twice a year in June and December and can be also accessed online. The manuscripts which are accepted for publication in the JRE before June are published in the summer (June) issue and the manuscripts which are accepted for publication in the JRE before December are published in the winter(December) issue. The JRE welcomes any research papers on education written in hindi or english using techniques from and applications in any technical knowledge domain: original theoretical works, case studies, literature reviews, research reports, social issues, psychological issues, curricula, learning environments, book reviews, and review articles. The articles should be original, unpublished, and not in consideration for publication elsewhere at the time of submission to the JRE. Prof.(Dr.) Thomas Varghese, S. J. Mob: 943763159 Prof. (Dr.) Ms. M. Marion Mathew C. J. Mob:9433517020 Dr.(Fr.) Anthony P. Raj, S. J. Mob:9934027230 *Dr. (Fr.) Ignatius Topno, S.J. Authors should carefully read the entire submission guidelines before submitting the manuscript for publication in Journal of Research in Education (ISSN 2347-5676). Authors must ensure that manuscripts are free of grammatical, spelling and punctuation errors. These must be thoroughly edited before submission. It is not the responsibility of editors to correct the article grammatically and improve the language of the paper. The manuscripts not prepared according to guidelines may be rejected. 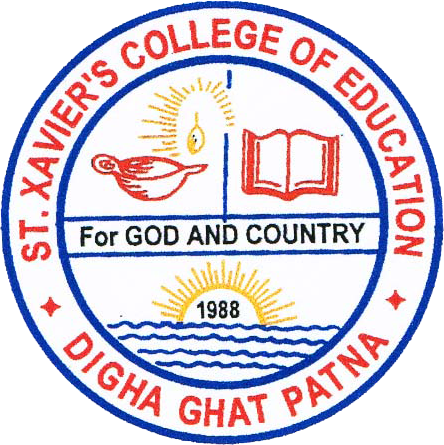 Research paper is to be submitted to the Principal (Chief Editor JRE) by post to the address St. Xavier's College of Education, Digha Ghat, Patna-800011, Bihar and in soft copy to jresxcep@gmail.com. The first page should mention title of the article and author(s) detail. The title of the article should be bold, centered and typed in capital letters in 14 point Times New Roman Font in English or in 16 point Kruti Dev 010 Font in Hindi. The author(s)' Name(s) only should be below the title their designation and association should be in the form of footnotes. All manuscripts must be accompanied by a brief abstract. Abstract including key words must not exceed 150 words. It should be in fully italicized text. MANUSCRIPT: It should be typed in 12 Point-Times New Roman Font in English or in 13 Point - Kruti Dev 010 Font in Hindi with a single space and single column with 1" margin on a standard A4 size paper. The text should be fully justified. The research article/paper should preferably not exceed 2400 words or 4-5 pages in all. All headings must be bold-faced, aligned left and fully capitalized. The text matter must be in 12 Point-Times New Roman Font in English or in 13 Point - Kruti Dev 010 Font in Hindi and single spaced. The sub-heading must be bold typed, fully capitalized and left aligned. The text matter must be in 12 Point-Times New Roman Font in English or in 13 Point - Kruti Dev 010 Font in Hindi and single spaced. FIGURES AND TABLES: The titles must be above the table and below the figures and sources of data should be mentioned below the table. Figures and tables should be centered and separately numbered. REFERENCES: The authors should list all references alphabetically at end of the paper following strictly the APA guidelines of referencing. The accountability of the article published in the journal is entirely of the author(s) concerned and not of the publisher/editor. The view expressed in the articles of the journal is those of the contributors, and it does not essentially correspond to the views of the publisher/editor. It is responsibility of the authors to seek copyright clearance for any part of the content of the articles. The papers must not have been published earlier or sent elsewhere for publication and must be the original work of the contributors.